Allan Kingdom Brings Island Vibes On "Gorgeous"
Home>New Songs>Allan Kingdom Songs> Allan Kingdom Brings Island Vibes On "Gorgeous"
Allan Kingdom comes through with the Sango & Fwdslxsh produced "Gorgeous." 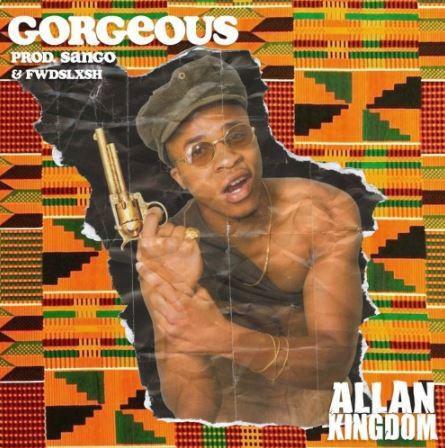 Allan Kingdom comes through with his latest single, "Gorgeous." The Minnesota based musician has delivered a string of new music since the top of 2018. The rapper's latest single was produced by Sango and Fwdslxsh who deliver an island influenced production while Kingdom's melodies dabble in dancehall. The song follows the release of "Life" which he dropped last week. That single had a clear influence of afrobeat throughout it all. The musical directions that Kingdom's been on is a clear sign as to why someone like Kanye West would tap him to do some work for him. The rapper dropped off his project Lines nearly a year a go and was pushing that throughout the remainder of 2018. With the amount of new music he's been releasing lately, it seems as if he's gearing up for another drop this year. SONGS Allan Kingdom Brings Island Vibes On "Gorgeous"